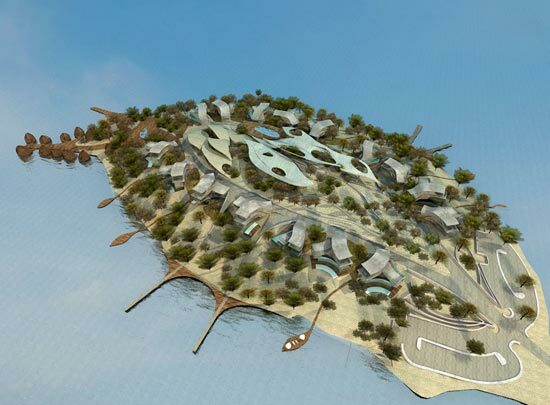 Combined with the natural beauty of the peninsula. 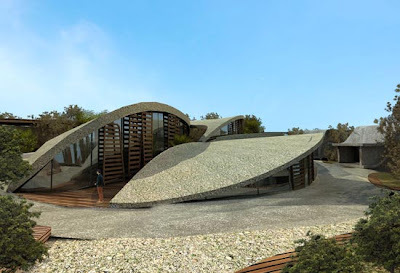 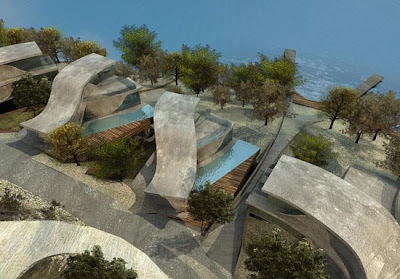 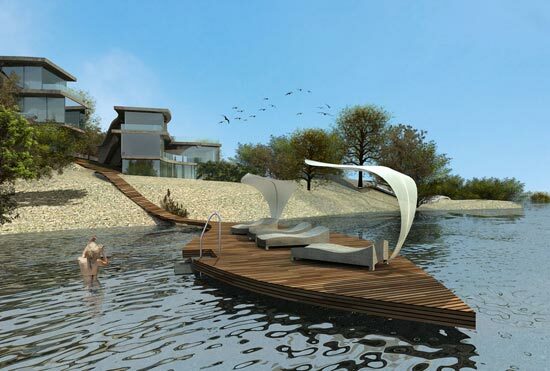 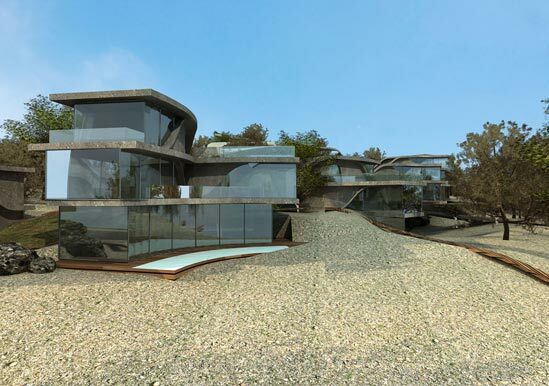 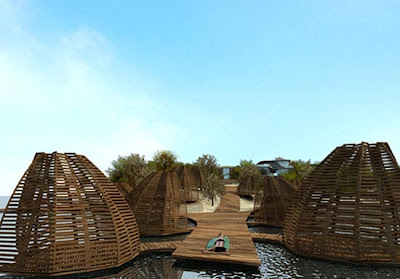 GAD (the development of global architecture), a company in Turkey together with Turkish architects Kirmizitoprak Dara has designed a proposal for housing units in Pina, a peninsula in the Aegean sea. More precisely located near the southern coast of Bodrum in Turkey. 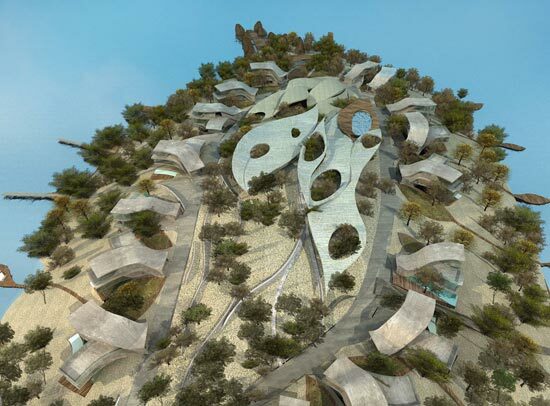 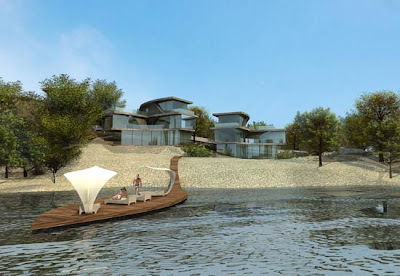 The concept is made with beautiful trees and natural topography, the design created will have 17 villas, 21 hotel rooms, function rooms, restaurants, and recreational areas, which certainly will showcase the beauty of this peninsula is very charming. 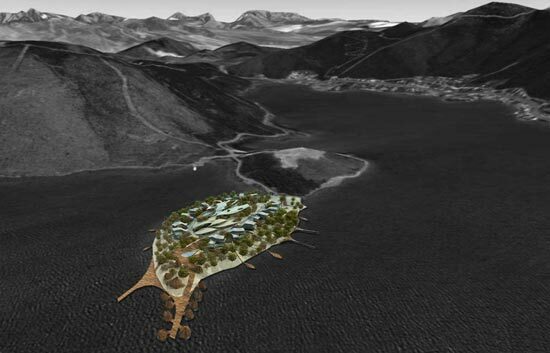 Turkish architect is creating a lot of diagrams, because many natural environments and locations that may be needed over the fork. 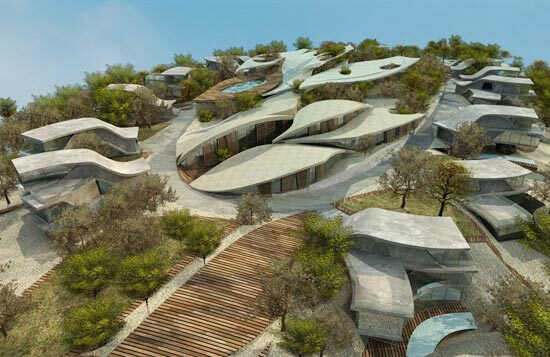 All diagrams are then placed on top of each other and the resulting surface will be stretched and distorted to form a space. Every house on 44,500 m2 will have a private pool, private terrace and private garden.